Rebecca A. Jones - Ward and Smith, P.A. Rebecca has been a paralegal for more than 20 years. She has experience in litigation, real estate, and corporate law, but has found the work she does in the Trusts and Estates Department of Ward and Smith to be the most fulfilling because it allows her to work more closely with clients. Rebecca assists the Trusts and Estates attorneys with all aspects of estate and trust administration, including the preparation of accountings and estate tax returns. An attorney‑client relationship may only be established through direct attorney‑to‑client communication that is confirmed by the execution of an engagement agreement. The content of any unsolicited email sent to Ward and Smith, P.A., or to any of its attorneys at an email address available on this website, will not create an attorney‑client relationship and the contents of such unsolicited email shall not be considered confidential. 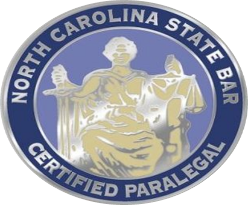 Therefore, do not use this website or the email addresses available on this website to provide confidential information about yourself or a legal matter to Ward and Smith or any of its attorneys.